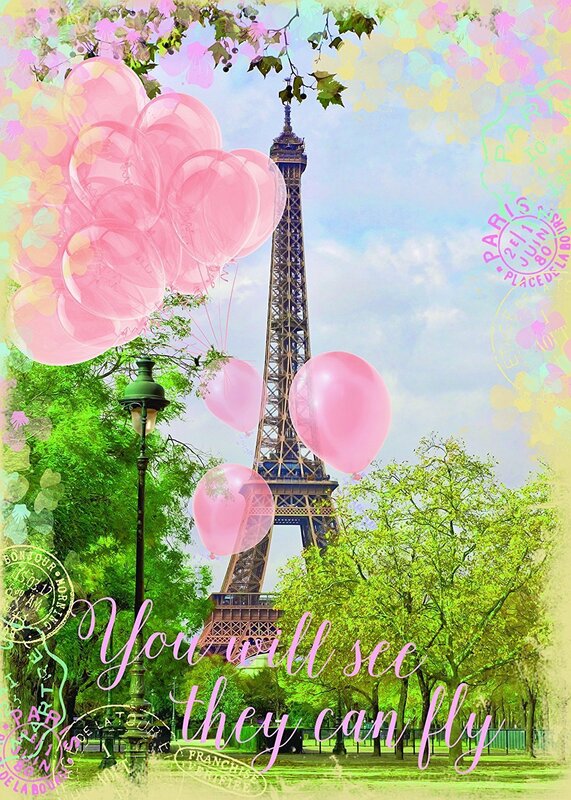 Description Travel and scenic puzzle fans will love recreating this whimsical, fun puzzle of the Eiffel Tower by artist Andrea Haase.The beautiful soft pastel colours of the balloons and the trees overwritten with "You will see they can fly" make this a most enjoyable puzzle. 1000 pieces. 50 x 70 cms.